It's been a while since we last updated you on our progress. Well, the wait is over because we have exciting news to share! But before we get to the good part, let us fill you in on some of the challenges of the past couple of months. As many of you know, we had hoped to manufacture Born To Be clothes here in the U.S. And, after a lot of searching, we had finally found a fabric supplier that sold beautiful Pima cotton and didn’t have crazy high minimum purchase requirements. We also found a couple of options for local manufacturers that work with new businesses. So, we set out looking for a printer with water-based screen printing capabilities. We were set on finding someone who uses water-based inks, as opposed plastisol ink, which is far more common but not great for the environment. Although it would be logistically tricky to have our clothes sewn and printed in separate places, we were still hopeful we could make it work if we could only find a good printer. And that's where we hit a wall. We spoke to a lot of print shops, including some outside of South Florida. Very few were willing to work with children’s clothes and none were willing to work with a new brand who supplied their own clothes, as opposed to just printing a design on the printer’s t-shirts. Almost all screen printers sell blank t-shirts and other “blanks” that clients can select for their designs. One guy was nice enough to explain that a big part of how they make their money is the mark-up on the apparel that they offer to clients and when clients supply their own clothes, the economics don’t make a lot of sense for them. But, here's the good news. After striking out on printers, we were able to find an amazing manufacturer in Peru that works with established brands and brands like ours that are just starting out! And, they are able to handle the printing using beautiful, bright, water-based inks that are soft to the touch. 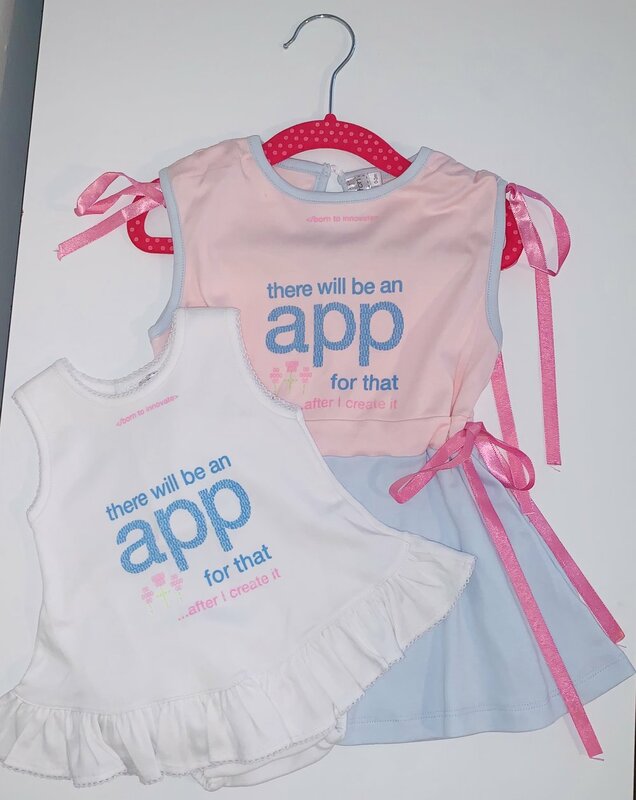 Currently we're working with them to develop a couple of onesies and on tweaking and refining our play dress, which will be available in toddler and little girl sizes. Everything will be made from 100 percent hundred Peruvian cotton, which is renowned not only for its incredible softness, but also its durability. Once we get the patterns and samples just right, our next step will be grading, which means turning our sample size into additional sizes. Then, we’ll be ready to roll with our first production. In the meantime, we always love to hear your feedback, so please let us know what you think of the samples.